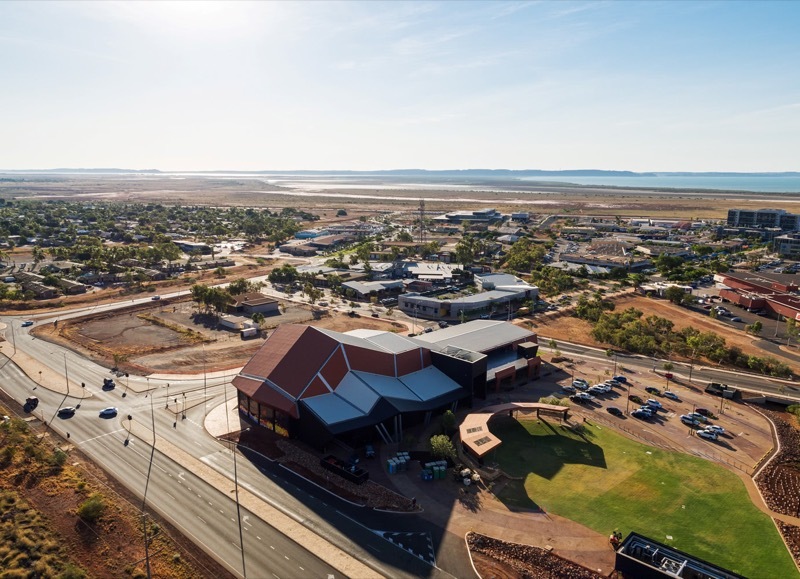 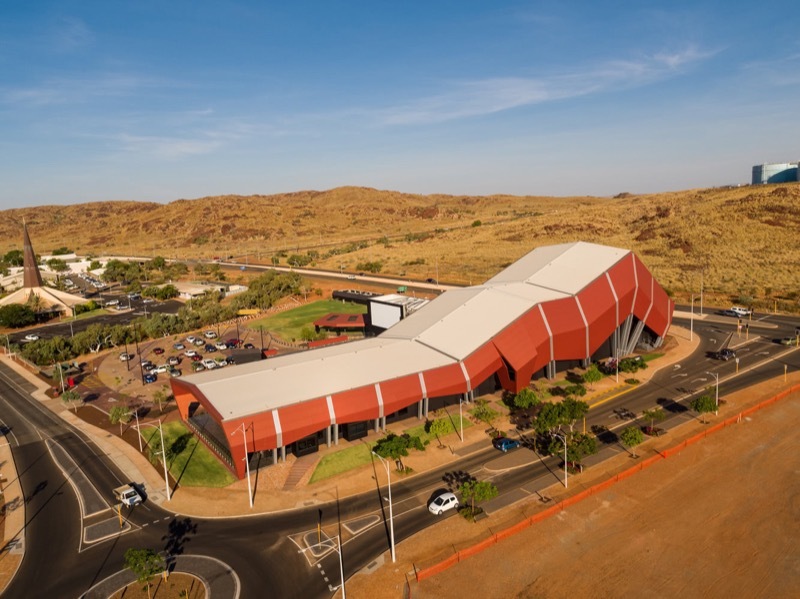 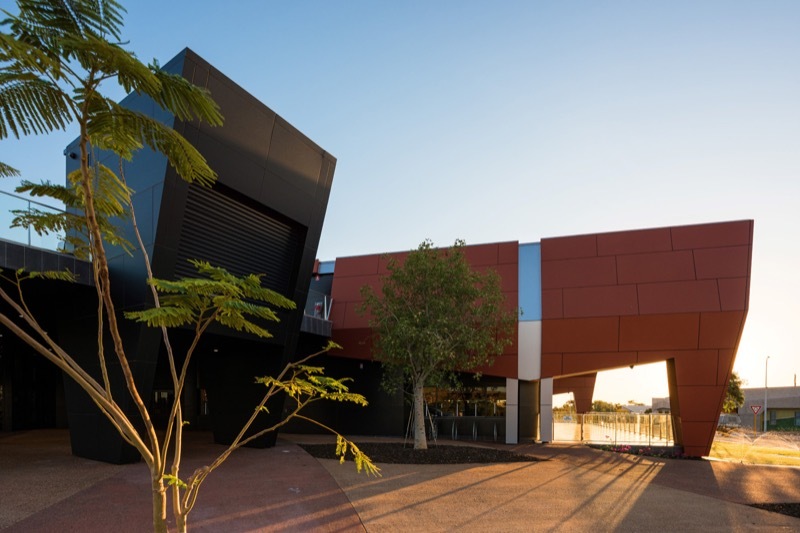 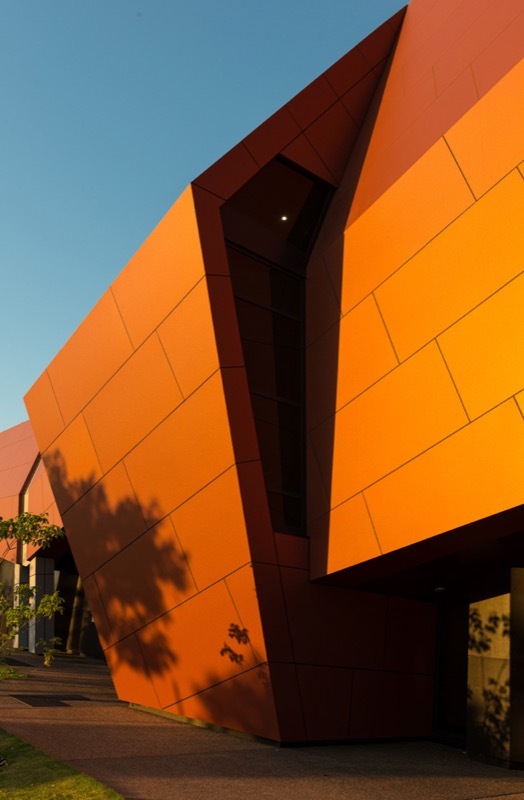 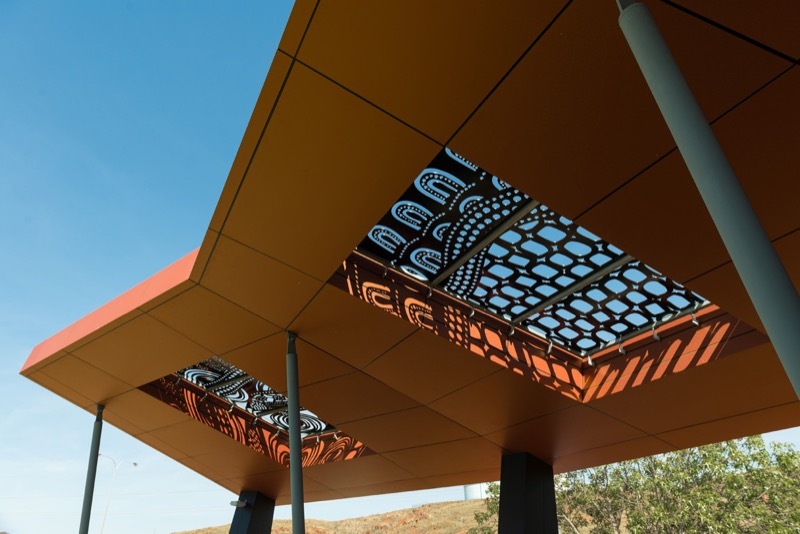 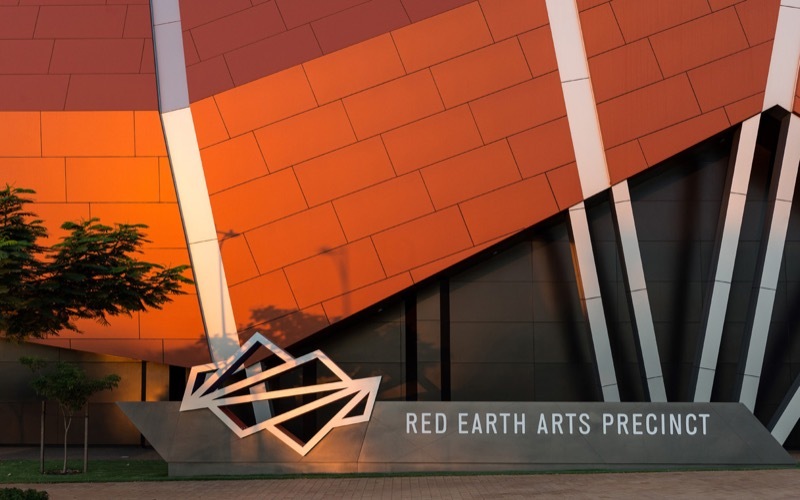 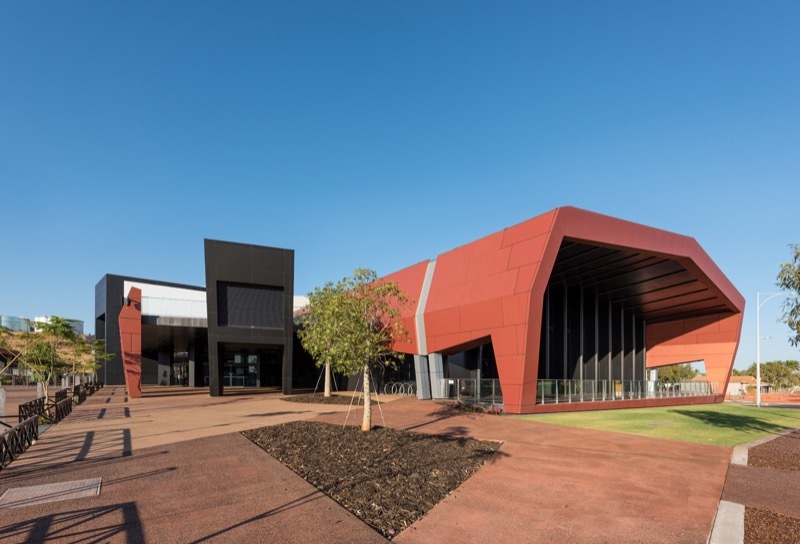 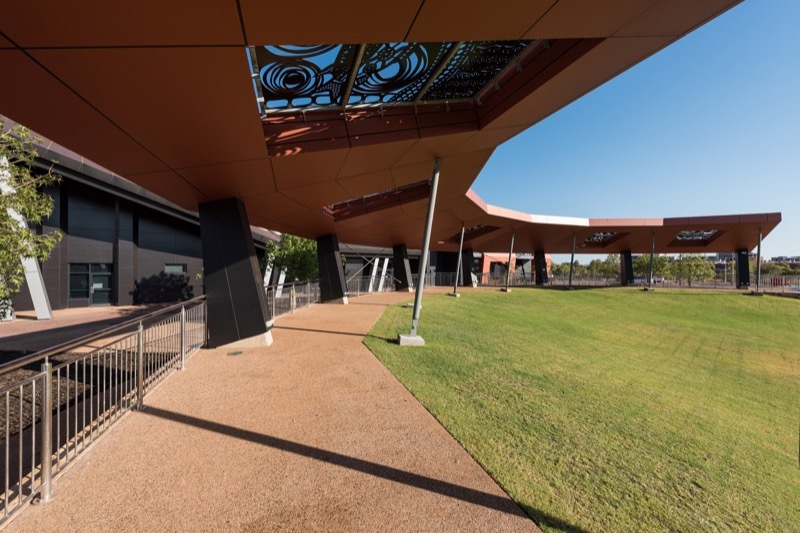 The Red Earth Arts Precinct is a stunning community building in Karratha bring arts and culture to the City of Karratha and the wider Pilbara community. 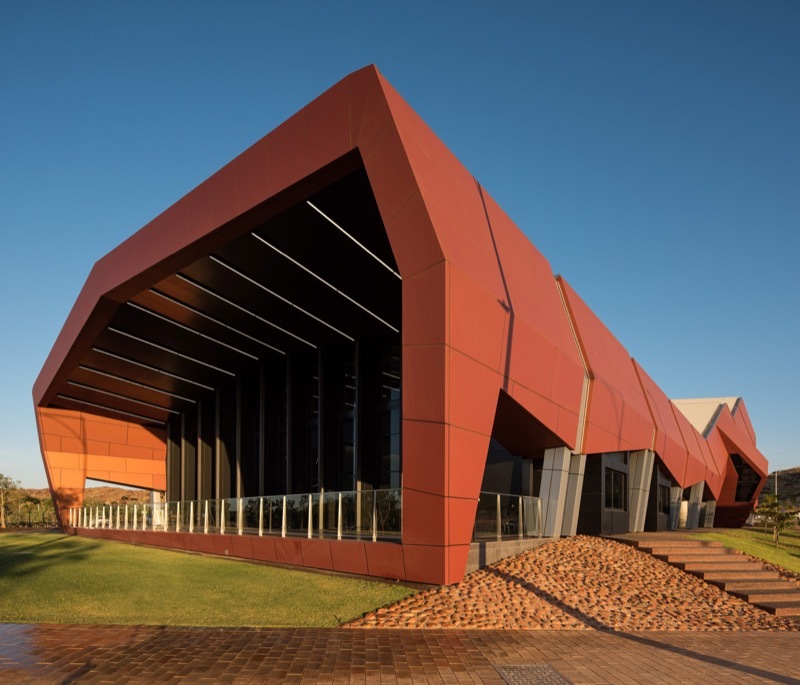 State of the art Library incorporating local history. 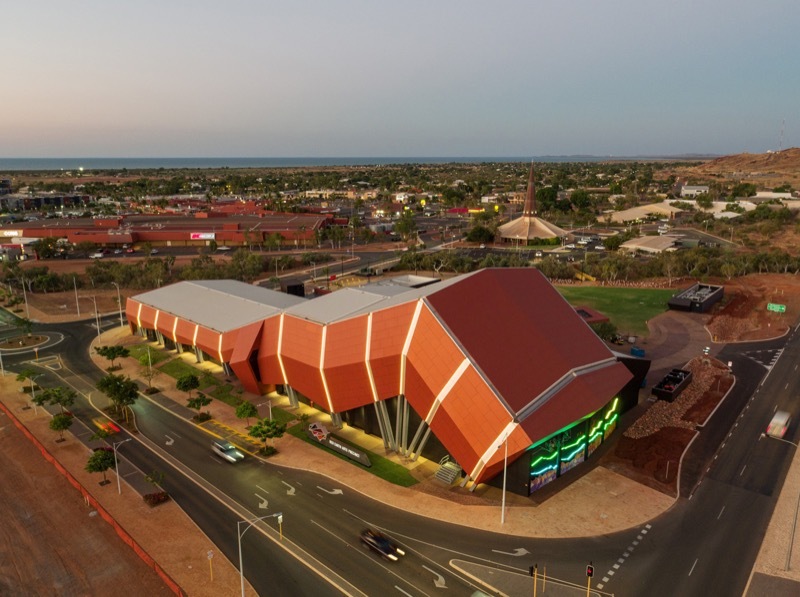 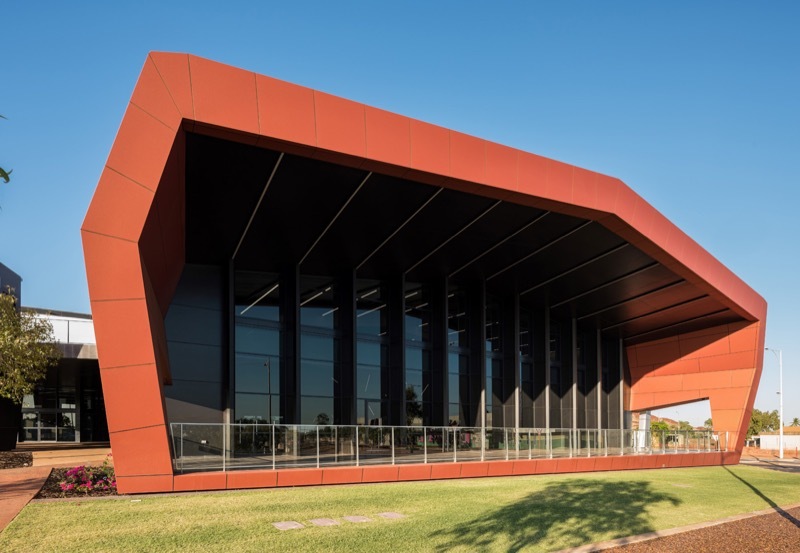 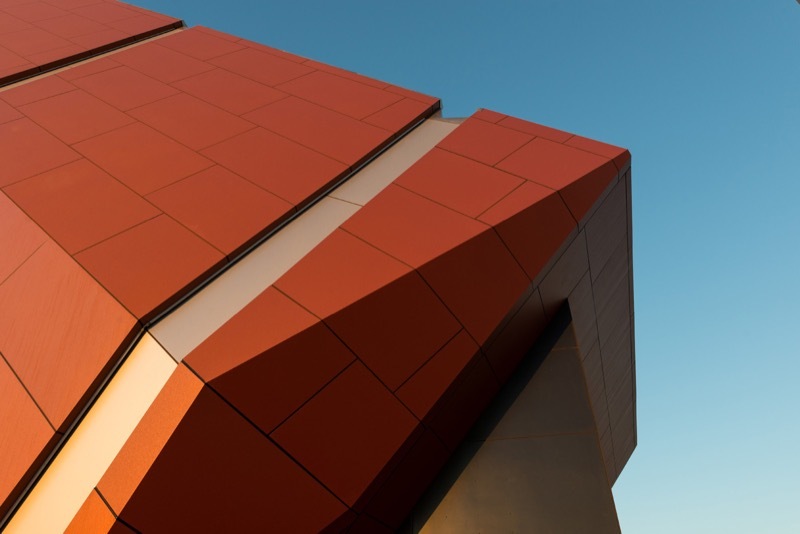 DENMAC was responsible for delivering the highly visual façade which creates a unique statement for visitors entering the town of Karratha. 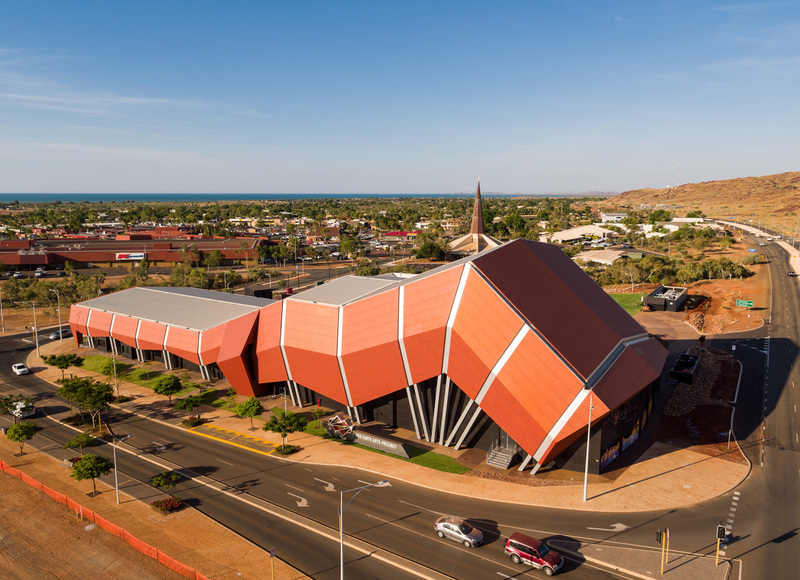 This included the design, supply, fabrication and construction of the facade incorporating the external cladding & roofing package with the design intent to create a building which will withstand a ‘one in a hundred year’ Category 5 cyclone. 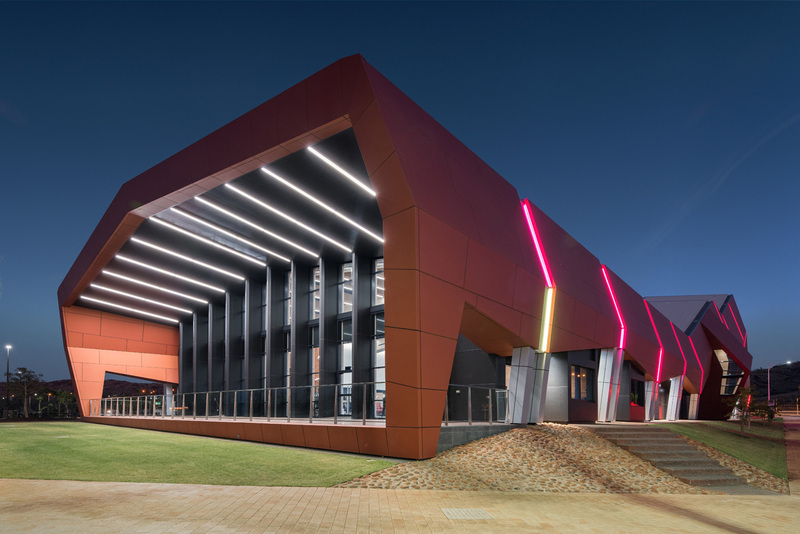 Whilst the location created logistical challenges that DENMAC had to overcome, the design requirements were even more challenging. 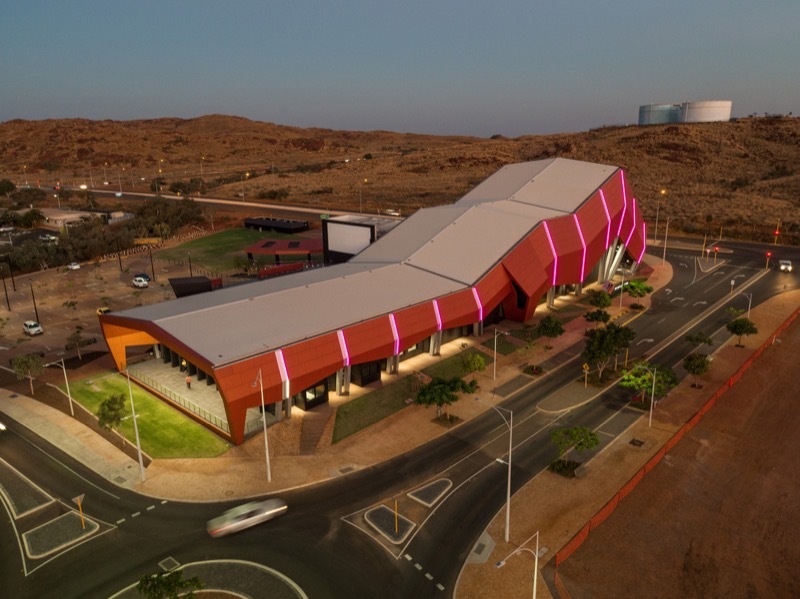 With an initial impact resistant outer skin fixed to the main structural steel, DENMAC’s project team conceived, designed and engineered a cost effective sub-structure to complement the main steel structure to deal with significant wind loads and pressures and to support the predominant finished final product of textured Alucobond Composite Panel reflecting the Karratha hills. 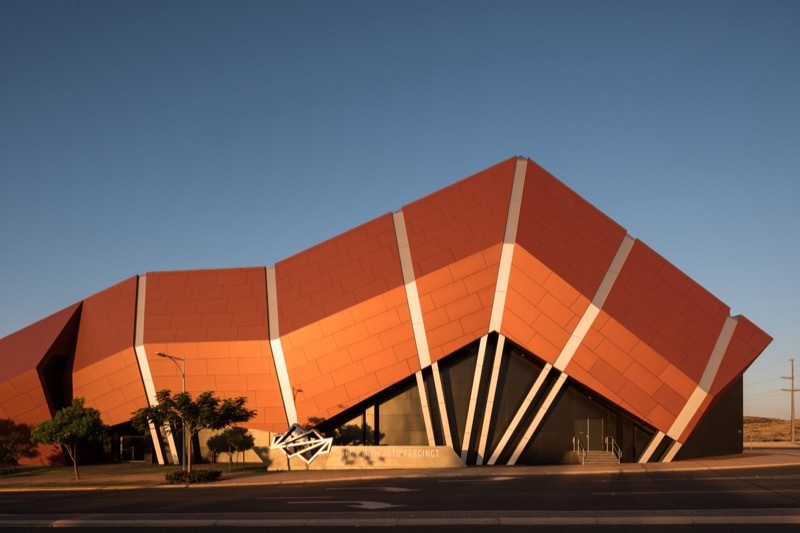 The complex interfaces between the structure, roof and façade, coupled with the fact that works were undertaken in a cyclone region, made this an extremely challenging project.